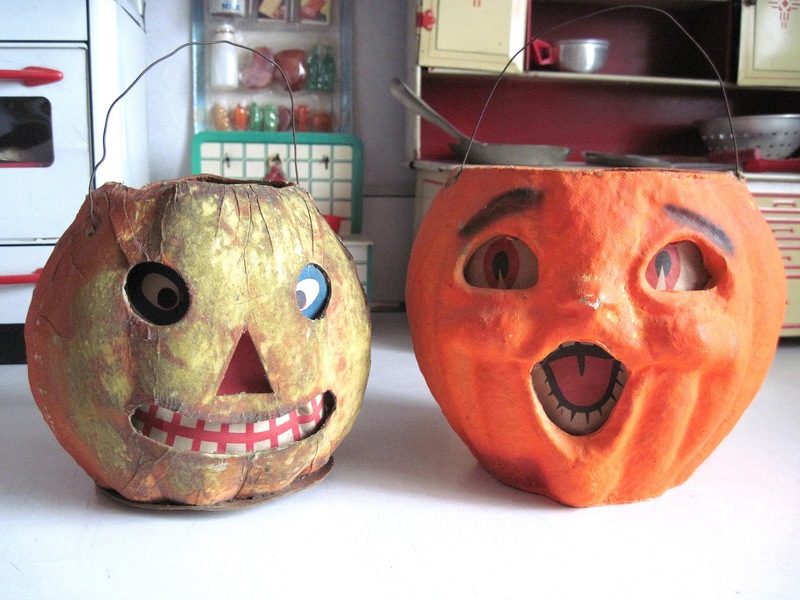 I found these two fabulous jack o' lanterns at an antique show yesterday, and I just couldn't wait all the way until next October to post them. The one on the left is German, made in the 1920s from a pressed and folded cardboard similar to thin papier mache. His yellow face (meant to represent glowing candlelight?) is unusual, and adds a creepy quality. His jollier friend on the right was made in the United States in the 1950s of a pulp material. They both have their original paper faces and wire handles, and the taller lantern is just under 6 inches tall.